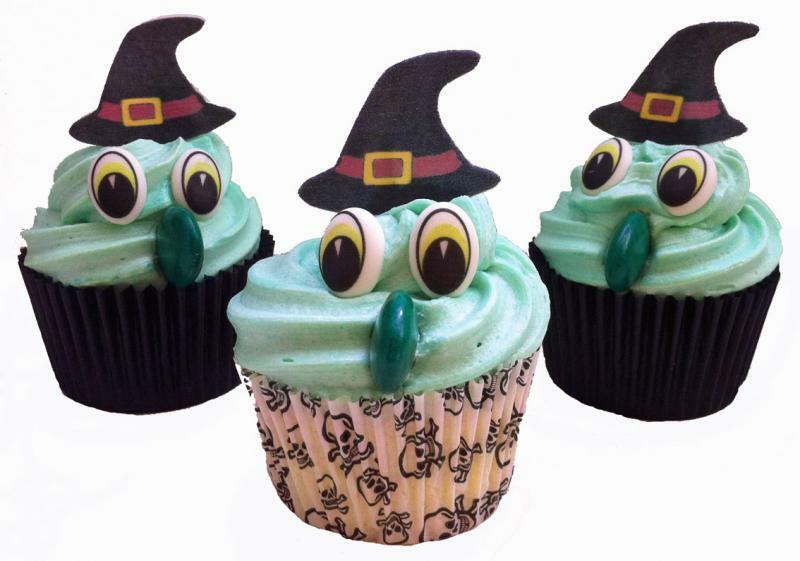 Scare your friends and family with these fun Halloween Wicked Witch Cupcakes! This set creates 6 Halloween Wicked Witch Cupcakes and includes 6 pairs of eyes, 6 witches hats and 6 long green chocolate noses. This set is unique to Holly Cupcakes and cannot be bought anywhere else! 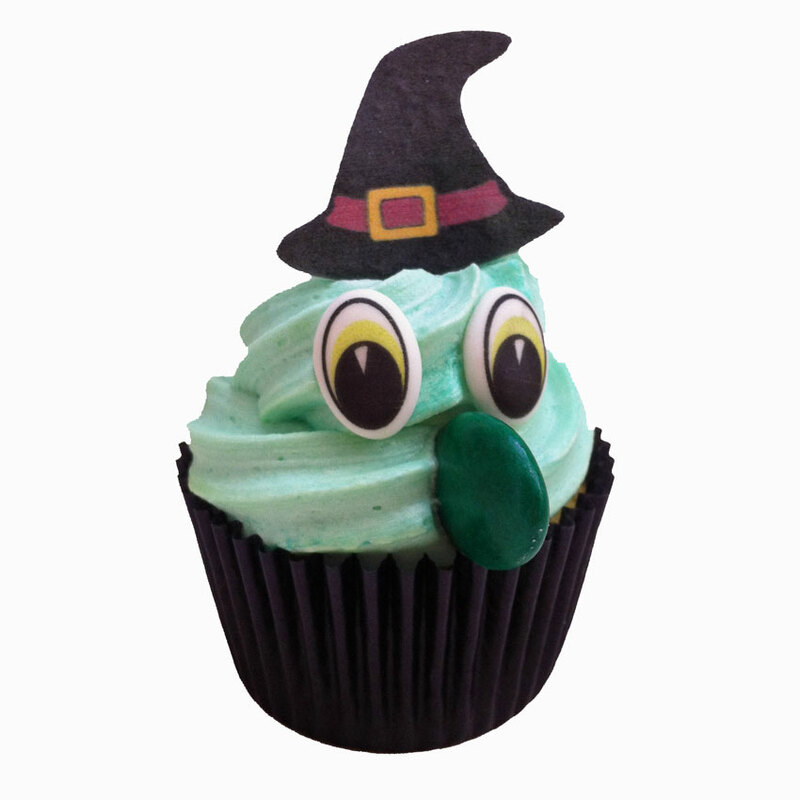 Simply bake and ice your cupcakes and position the witches hat, eyes and long green nose to make a scary face.